Does your dog come when called? Now that we are into Spring, and the weather is warmer, many of us enjoy the chance to take our dogs out and allow them a good run off lead. If your dog comes every time you call him, that’s great. But if you find that your dog consistently ignores your recall, then you could try improving your technique, and putting some training into place for your dog. First of all, you need to set yourself up for success. 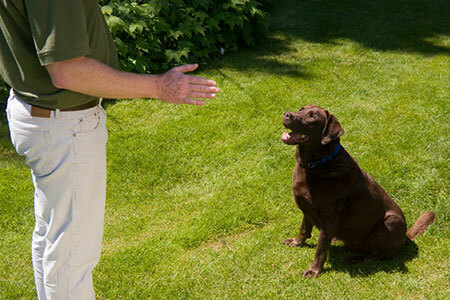 You need to retain some control over the situation whilst you are training your dog to come to you consistently. We recommend a 25ft soft lead as the best place to start as you can then allow your dog some extra freedom whist retaining the ability to show and guide him as to what you want him to do. We don't recommend a retractable lead when walking or teaching recall. 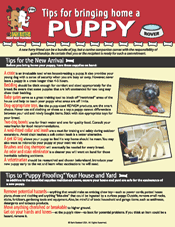 A fixed lead is far safer for you and your dog. You must also ensure that your voice tones are working for you. If you shout your dog in an angry voice, he is possibly going to think twice before coming to you. You need to call him in happy, light tones that encourage him to want to come back to you. Use lots of praise when your dog comes to you. As Bark Buster trainers we often find that a common reason for problems with recall is that owners only recall their dog when there is either a problem, or when it’s time to go home. This doesn't encourage your dog to want to come back to you. It is far better, when training recall, to keep recalling your dog, lavishly praising him and then releasing him again. Doing this several times when you are out trains your dog to understand what you want from him, shows him that there is a reward for this behaviour, and also shows him that your recall doesn’t mean that his fun is over. Doing this also has the effect of making you more interactive, and more interesting to your dog, and will help him to keep focused on your whereabouts. When you praise your dog for coming back to you, the praise must come as soon as he starts to move towards you. Whilst he is learning recall, praise him immediately he starts to make his way back to you so he understands why he is being praised. If you put in a ‘sit’ command, and ask him for his paw before praising him for returning to you, he will think he’s being praised for giving you his paw, and not for the great recall. Once you have consistent recall on a long line (without you having to reel him in), you can progress to recall off-lead, but be sure to start in an enclosed area such as a tennis court. Once recall off-lead is consistent in the enclosed area, you can progress to open areas. When exercising your dog off-lead, be mindful that there will be dogs who are on lead for a reason. They, and their owners will probably not appreciate your dog approaching, so be ready to call him back before he reaches them, and put the lead back on if you need to as this is respectful of the needs of others. As a final point, calling just your dog’s name is not a recall command; his name is just his name and he most probably knows that already! You must put in a command such as "come", so “Rover, come!” or “Rover, here!” will work much better. As in everything with dog training, practice is the key. Consistency in your commands and your praise, will help speed up the process. Good luck and enjoy your Spring-time walks.